"Am I prepared for the workforce?" is the question that is foremost on the minds of many graduates. According to a workforce readiness survey by Aurecon, a global engineering and infrastructure advisory company, 73 per cent of university students surveyed are confident that their education prepares them with the right skills for the workforce. But after entering the workforce, 39 per cent of the graduates felt that their university did not prepare them with the right skills for their first job. Universities such as the Singapore campus of James Cook University (JCU) have taken this skill gap into account by coming up with new educational approaches to help graduates anticipate and meet future workforce expectations. 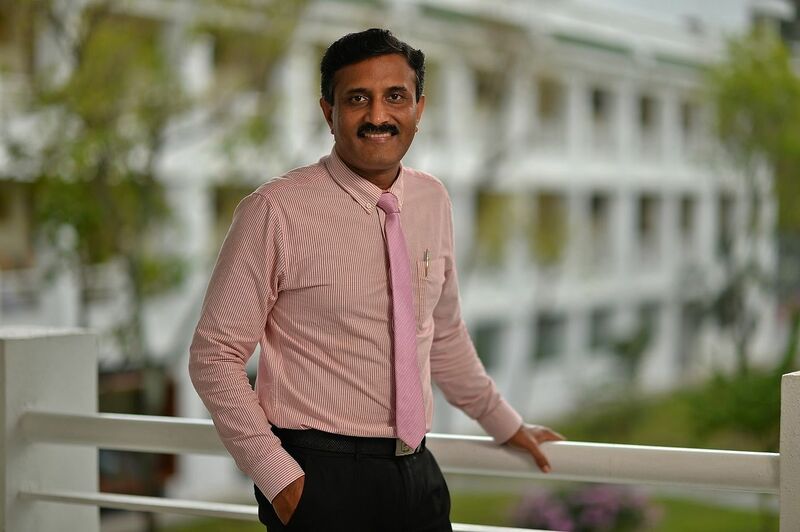 Associate Professor Abhishek Singh Bhati, the Campus Dean and Head of Teaching, Learning and Student Engagement at JCU shares how universities that provide industry-oriented education help graduates join the workforce successfully. As compared to the past, how has the role of educational institutions changed today — where are universities expected to get jobs for its students? More than half of the jobs for the future did not exist 20 years ago. Technological developments have made it possible for routine jobs to be performed by machines. This is why educational institutions have to train their graduates to think critically and be adaptable lifelong learners. Higher learning institutions should impart to their students the right knowledge, skills and attitudes that are transferable across a range of jobs addressing diverse industry needs. This fosters a culture of innovation and responsiveness to change, and the efficient utilisation of resources in ensuring organisational and operational effectiveness. Surveys have shown that there is a skill gap between graduates and the jobs they are applying for. How does JCU adapt its programs to offer an industry-oriented education? An educational journey should culminate in the graduate making a meaningful impact on the community — be it professional or social in nature. JCU’s courses are recognised by relevant professional associations and accreditation bodies in Australia and Singapore. The benchmarking of the courses against industry-best practices provides graduates with cutting-edge skills. Universities are partnering with businesses and corporations to allow students the opportunity to apply what they learn to real-life situations. What industry partnerships do you offer at JCU? Industry partnerships deliver relevant learning experiences. JCU works hand in hand with a large number of allied healthcare institutions and social service organisations to train psychologists, counsellors and healthcare workers. For instance, JCU’s Education students are trained in a range of early childhood education centres across ASEAN and Australia. Similarly, our IT, Tourism, Accounting and Aquaculture students get the chance to engage in different projects or problem-solving tasks in their respective industries. How important are such initiatives in preparing students for the workforce? JCU believes in work readiness. Our graduates should be able to contribute to an organisation's outcomes from the first day they join it. Regular and deep engagement with relevant industry partners ensures that a graduate understands industry needs, and can deliver confidently and with high accuracy, thus enhancing productivity. JCU is known for its diverse student profile. Where do some of your international students come from, and why do you think they have chosen to study at JCU? Our student population is a healthy mix. Our international student cohort comprises students from close to 40 countries — with good representation from Scandinavia, Western Europe, East Asia, South Asia and ASEAN. How does interacting with students from various backgrounds and nationalities benefit a student’s learning process? Global citizenship is a key behavioural trait of a JCU graduate. Students are trained to develop a wider global perspective on issues, and are made aware of the importance of the consequences of their actions. JCU’s multi-cultural environment celebrates and values racial diversity. What are some soft skills that are in demand in the job market, and how can students acquire them during their time at JCU? JCU’s collaborative learning environment facilitates communication skills and teamwork. Our graduates are likely to be employees who are more productive. They know how to communicate with their peers, and look to team players to help build a collegial work culture that promotes employee retention and attracts top talent. The ability to collaborate well with one’s co-workers enhances productivity. Our graduates also develop critical thinking skills — such as fresh perspectives and ideas to innovate, and problem solving skills — to overcome challenges through well-crafted assessment tasks. Engagement with their communities and industries also promotes leadership and adaptability in graduates. In the current job market, there is a strong emphasis on lifelong learning for working adults. How does JCU motivate its students to continue learning after graduation? JCU’s culture of continuous improvement motivates students to acquire new skills through continuous education and training. Graduates can hone their skills by taking JCU’s Master Classes and other professional development programs. Find out how an education with James Cook University prepares you for the workforce. Register for their Open House on May 12, 2018.